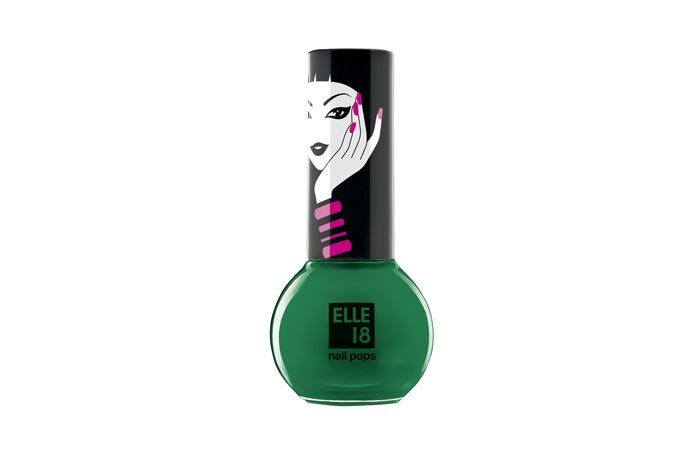 Elle 18 offers a wide variety of cosmetics starting from lipsticks to lip glosses to their vibrant range of nail colours. It has been and will remain one of the most sought after brands in India because of its affordability and availability. Elle 18 Nail pops range offers a wide variety of nail colours. They have such lovely shades and moderately priced that you will be tempted to buy the complete Nail pops collection! Here are our top 10 choices for Elle 18 nail polish shades. You should definitely try these out. 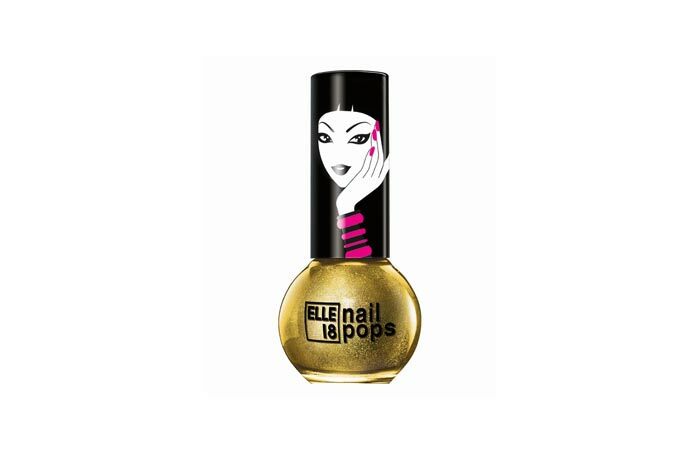 This is a lovely golden shade from the ellle 18 nail polish range for all those golden hue lovers. This is a slate grey shade with light shimmer which can look fantastic on a rainy day. You can also wear this with your office outfits. This is a shimmer plum shade which can go great with your plum georgette sarees. This is a lovely shimmer green shade for all those green lovers. This is a lovely and head turning matte blue shade. If you still haven’t grabbed it, time to buy this one for sure! A sweet pink colour is always a lovely choice if you are a nail fanatic. If you do not have shades of pink in your nail polish collection, then your nail polish collection is just an as dull as the rainy clouds. 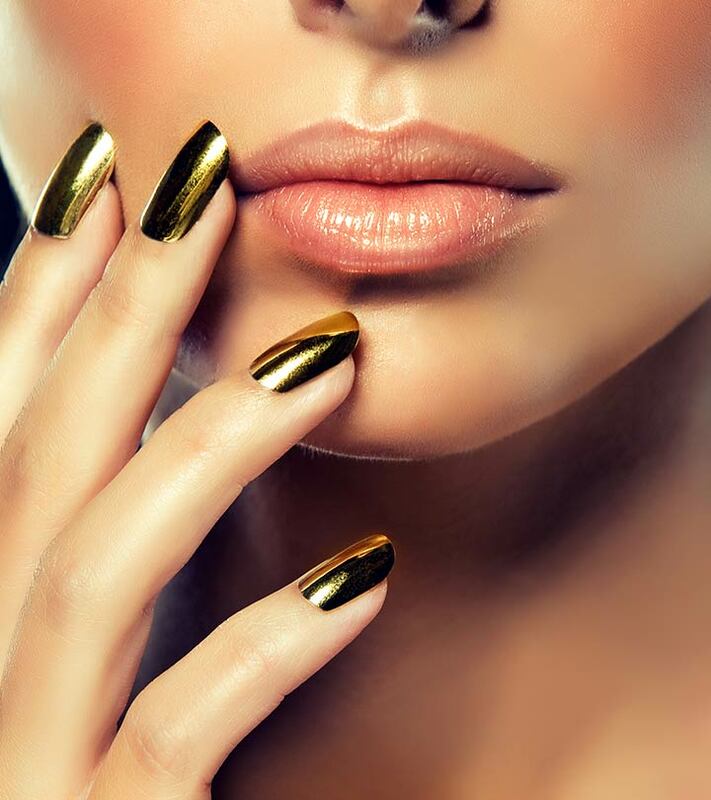 So get this nail pop right away. This is a lovely gothic maroon shade. You will surely fall in love with this one. 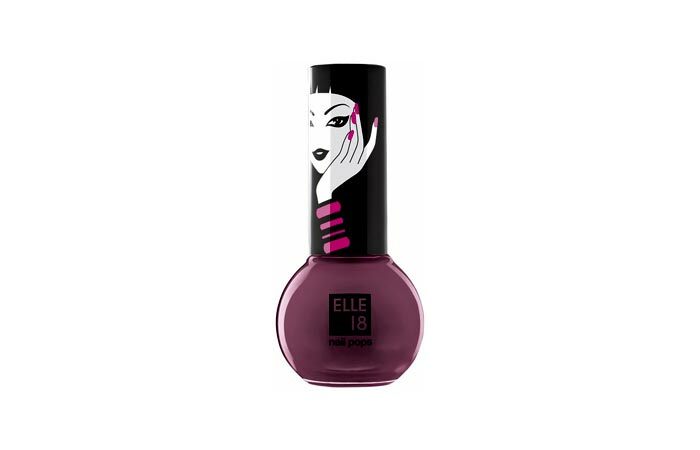 This is a dark gothic black shade which is out of the ordinary and women should not afraid to try this out on a date. So go out and grab a black shade today. This is a lovely plum or dirty purple shade. It can look really gorgeous with your traditional outfits or may be with your plum summer shorts. This is a bright bridal red colour shade. This is one colour that you should definitely try because no matter how you dress up, whether traditional or western, every now and then you will need a nice red colour to match your mood. Try this one. It’s just gorgeous. Hope you liked our top 10 Elle 18 Nail paint shades. Which is your favourite shade?